Can't believe it's been over a year since my last Eurovision Memories post. We left the story at 1984 - the contest I couldn't remember - so let's move on to the following year, before I fast-forward to my 2016 posts! By the time 1985 came round, I had fallen back in love with Eurovision again, because Sweden was going to host it. After the shambles of 1984, SVT took up the challenge of producing a contest to remember. Most of that was down to its charismatic presenter. Long before Petra Mede was wisecracking her way to ESC notoriety, we had Lill Lindfors, who kicked off the show with the maximum cheese overload of "My joy is building bricks of music". What an impression she made on the TV audience later that night with her (very deliberate) skirt rip/'wardrobe malfunction'. It was pretty daring in those days though! Gothenburg's Scandinavium was the venue for the 1985 contest. Unusually, Terry Wogan was commentating from London rather than Gbg as he was unwell at the time, but was still in good form back in those days. I wasn't too thrilled by the stage set at the time - random climbing frames and mesh - which was obviously going for a Nordic minimalist look. It still doesn't thrill me, and reminds me of a variation on the Melodifestivalen 1984 set. But what about the songs and singers? Well, we were still slap-bang in the middle of the 80s so there was lots of big hair, big frocks, big shoulder pads and big orchestral arrangements. 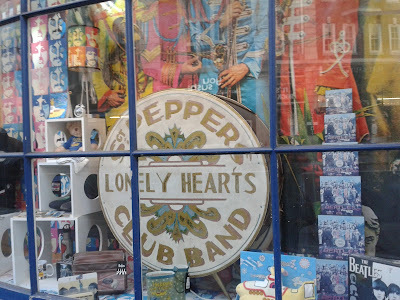 For the younger fans of the 21st century contest, they may be surprised to see the postcards showcasing the songwriters, rather than the singers, in various locations in Gothenburg. But that's no surprise really - back in those days it really was just a "song contest", the focus was more on the songwriters and the winner's trophy always went to the songwriters rather than the singers. When looking back now at ESC 1985, there are very few songs from that contest which I would listen to today. So in retrospect I guess it wasn't really that different from the preceding year, the ESC "annus horribilis" of 1984, but at least you could always rely on SVT to put on a better show. 80s Eurovision was certainly a different world. In 1985 I was listening to mainly indie/alternative music which was very different from anything in ESC, but I always had room for all kinds of music. Back then I didn't know what "schlager" was, but my favourite song from 1985 had a definite schlagery tone. As with many winning songs, I often prefer the host country's song from the following year to the previous year's winning song. (I'll cover this in more detail in a future Eurovision Memories post). So it was in 1985. After watching the annual preview show on BBC1, "Bra Vibrationer" - which is not a song about vibrating bras, as Lill explained! - became my pre-contest favourite. Kikki Danielsson gave a confident performance of the song, although it was sadly accompanied by two irritating backing dancers who were probably a prototype for Carola's equally irritating dancers in 1991 and in various other incarnations of Melodifestivalen. It was interesting of course to see Kikki competing in 1985 against her former Chips colleague Elisabeth Andreassen; the two singers would later reunite in Melodifestivalen 2002 along with Sweden's ESC 1987 representative Lotta Engberg as Kikki, Bettan & Lotta. 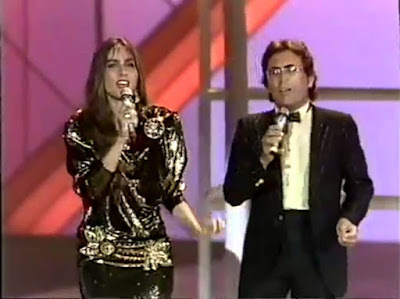 My other favourite song was the Italian entry, "Magic Oh Magic" which saw the return of Romina Power and Al Bano to the contest after 9 years. Romina looked better than she sounded. although Al being Al, he made sure that he would be heard above everyone else anyway. By 1985, the UK was still achieving top 10 placings at ESC, although back in those days 6th and 7th were looked upon as a bit of a failure. How times change! Imagine if the UK got a 6th or 7th place now - it would feel as if we'd won it. As usual, the Song for Europe line-up featured a number of unknown singers as well as 70s hitmaker Alvin Stardust with "The Clock On The Wall" which let's just say was very influenced by "Green Door" which was a no.1 hit for Shakin' Stevens. After the numerous manufactured groups put together to represent the UK, it was a big change to send a solo singer again for the first time since 1974. Vikki Watson looked like she'd walked straight off the set of Dynasty. But she was, and probably still is, a rarity for the UK at Eurovision, as she co-wrote her own song "Love Is...". She also performed it very well and achieved an excellent result of 4th place, ahead of more fancied entries from Israel, Italy, Spain and Denmark. However, like many of the other songs in the 1985 contest, it was very old-fashioned and out of touch with contemporary pop music, and didn't make the top 40. Listening back now to "Love Is....", well yes it's old-fashioned, but it is actually better than I remembered. It's one of the UK's most underrated entries from that time. But no-one was to match the exuberance of Bobbysocks! A duo so exuberant that their name ends in an exclamation mark! (But I still don't know to this day why Hanne was wearing a parachute for a skirt). Anyway they performed the hell out of "La Det Swinge" with bags of charm, charisma and above all - fun! A quality sadly missing from most of today's ESC entries (yeah, yeah, I know, I'm old and all that, but just sayin'). Even now, their sheer joy at winning is a joy to watch. Who would ever have believed that the country renowned for "nul points" or low placings on the scoreboard in the 70s and early 80s would actually go on to win Eurovision? Hanne and Bettan continue to be a vision in purple lurex; they stole the show at the Eurovision's Greatest Hits last year and regularly pop up in Melodi Grand Prix to provide a nostalgic interlude. Our final day in London before returning home. As our flight wasn't until the evening, what would we do between checking-out of the hotel and going to the airport? The answer: a sightseeing bus tour, but rather than hopping-on and hopping-off, we would just stay on the bus. A wise decision, thanks to the city's very congested and gridlocked traffic. This on a Sunday too! I wouldn't like to see how bad it gets in morning and evening rush-hour. No wonder why everyone uses the Tube. 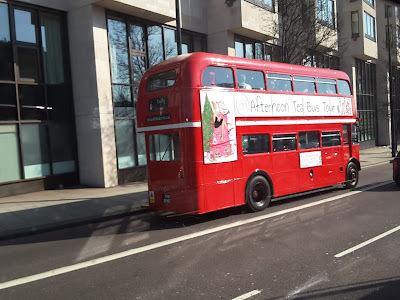 The bus set off from the gigantic Madame Tussauds wax museum - that's one for a future visit, I think - and proceeded to head on an epic 3 and a half hour journey covering a number of different areas and landmarks. It's a great way to pack in the tourist attractions without wearing yourself out and also gives you a great idea of just where everything is in the city. I particularly enjoyed crossing Tower Bridge, seeing the Shard and the Tower of London and brief glimpses of Big Ben and the Houses of Parliament, as well as seeing "how the other half live" in Knightsbridge and Kensington. 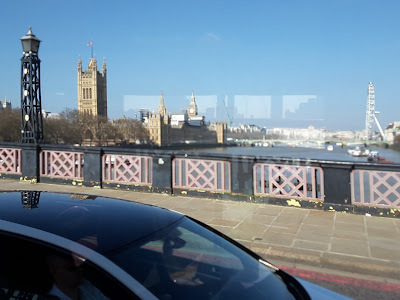 Here are a few of my photos taken from inside the sightseeing bus. 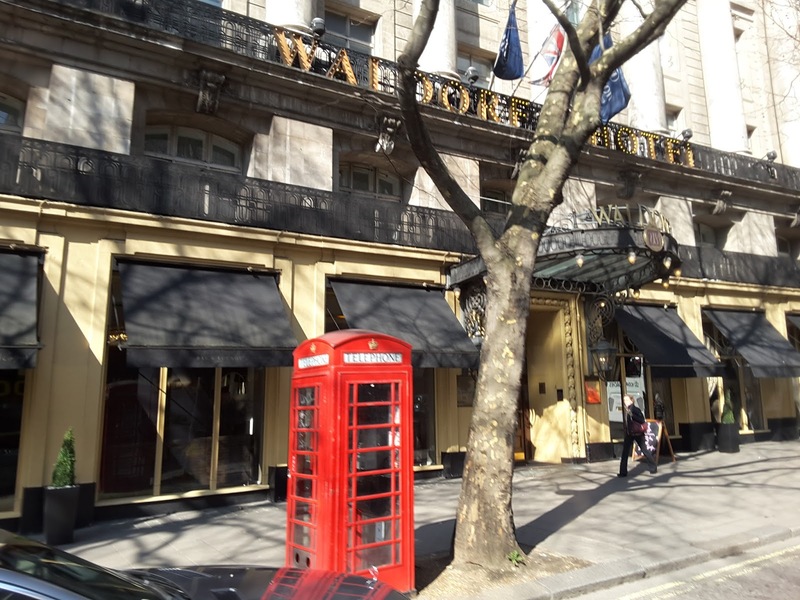 Above: a classic British telephone box, outside the Waldorf Hotel. Above: Tower Bridge in the distance. 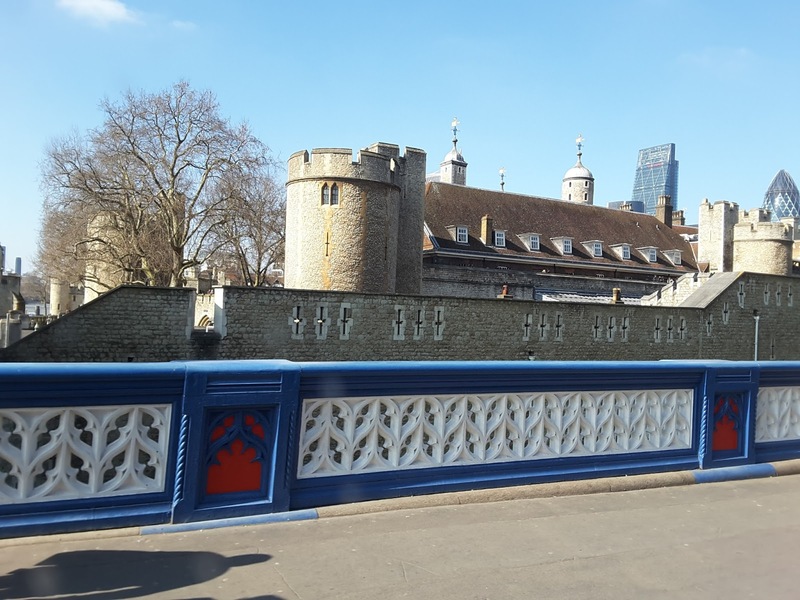 Above: the Tower of London and a little bit of the Gherkin peeking out! Above: a very fleeting glimpse of Big Ben, the Houses of Parliament and the London Eye. 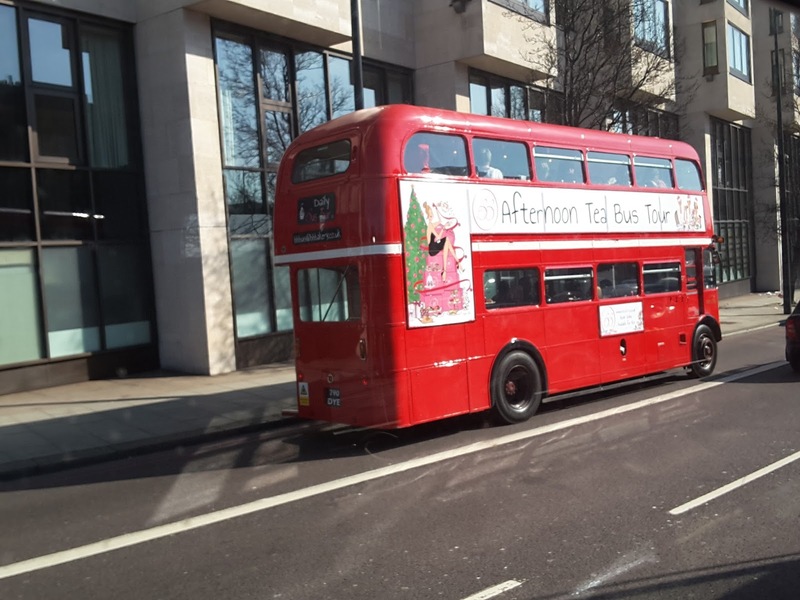 Above: an unusual bus tour on a classic London red bus. 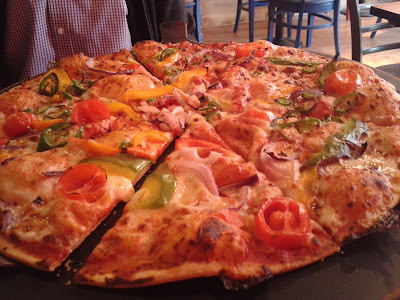 Our tour eventually came to an end and we had just enough time to grab a quick lunch before getting a packed Stansted Express train back to the airport for our flight home. Although we only had a very short break, we achieved a lot over three days and I can honestly say that London exceeded my expectations. 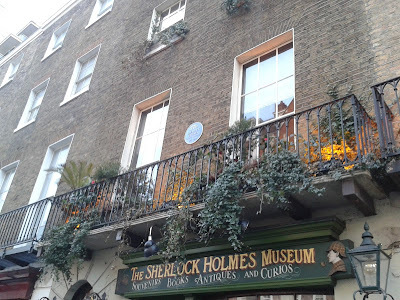 We had a great time, thoroughly enjoyed going to see Fulham (despite the final score), the Sherlock Holmes Museum was very enjoyable, and the Big Bus Tour was a relaxing way to see many of the main attractions without having to explore on foot. The only minus point is that London is a very expensive city. Entrance fees for attractions are high, the cost of public transport is pretty steep and drinks prices are on a par with Scandinavia! So please bear this in mind if you are planning a holiday in the city. We are definitely planning to return to London again, possibly next year all being well, and hoping to make a return visit to our newly adopted football team as well. Come on Fulham! So we will soon be off on our travels again, this time to another capital city, Madrid. Tapas and flamenco await! 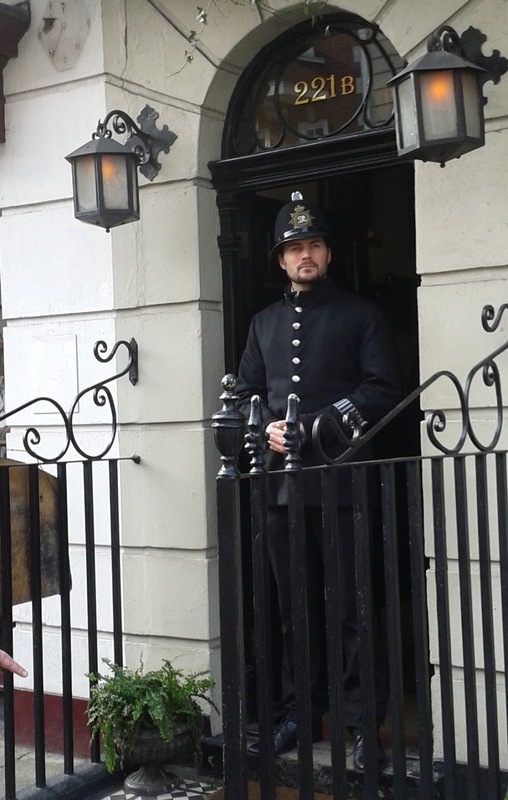 On Saturday morning we returned to Baker Street for our first planned activity of the day. Now we are not "museum people" and usually avoid conventional museums on holiday unless it is something specific or unusual which has sparked our interest. 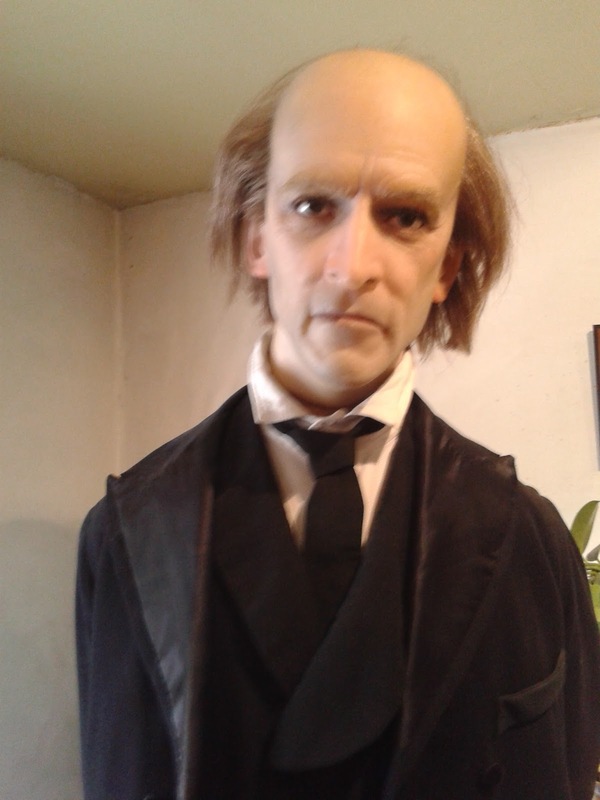 In previous years for example we've visited the Museum of Communism (Prague), the Chocolate Museum (Cologne), the DDR museum (Berlin) and the particularly harrowing Museum of the Occupation of Latvia (Riga). So this time we were off to a museum dedicated to the world's most famous fictional detective. Of course everything about this place is fictional - it's not really situated at 221b Baker Street, but it is all very well done and very authentic. 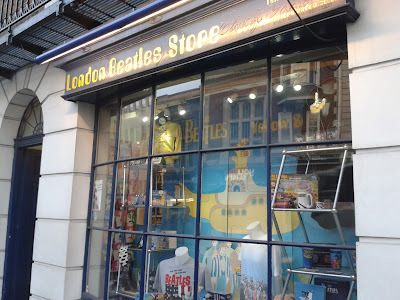 You enter through the well-stocked gift shop, packed with some very pricey souvenirs, then upstairs to the actual museum which is spread across separate floors. 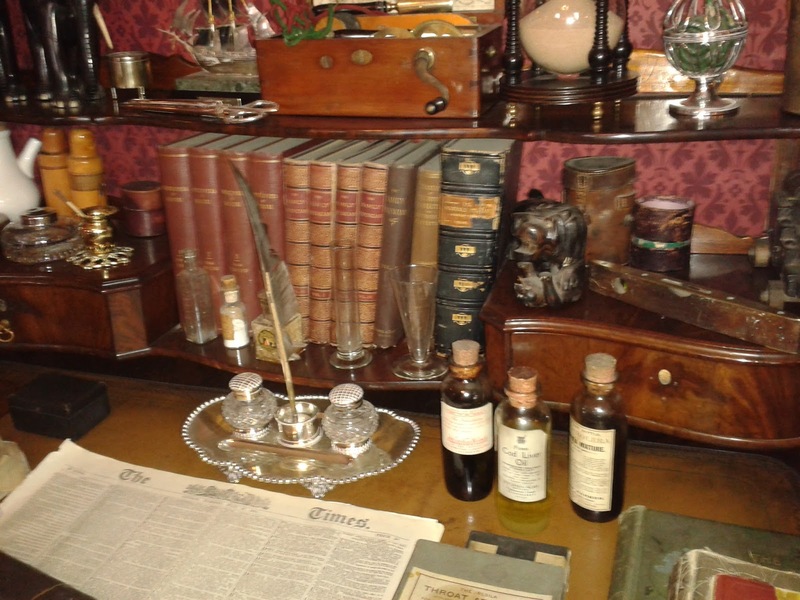 You get to see Sherlock Holmes, Dr Watson and Mrs Hudson's living quarters, as well as some scary scenarios from the books. I also enjoyed reading the letters sent from all over the world. 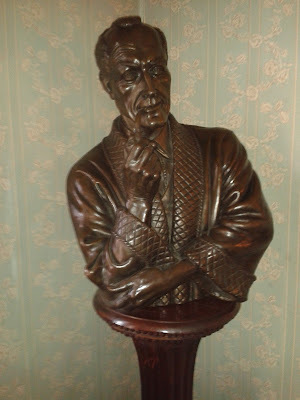 Faithful travelling companion is a big Sherlock Holmes fan (the old-school version, none of this Cumberbatched modernisation) however I've never read the books or watched the films or TV shows. 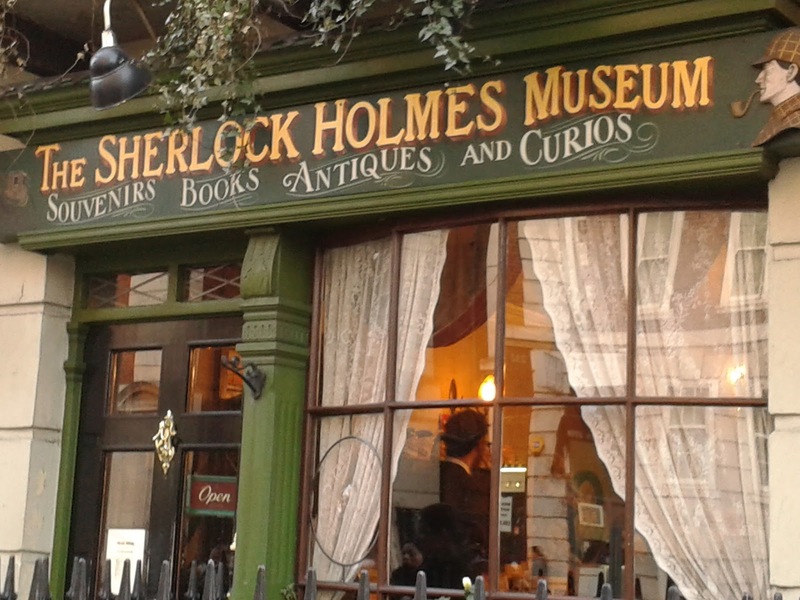 After visiting this museum it has definitely got me interested in reading the stories. More to add to my backlog....! 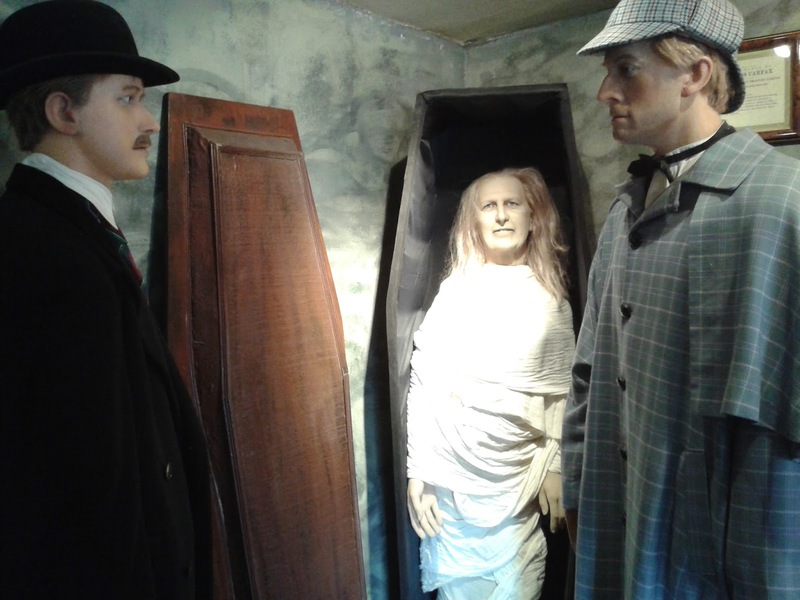 I would definitely recommend a visit to the Sherlock Holmes Museum but if you are planning to visit, get there early or you will have to join a very long queue to enter. 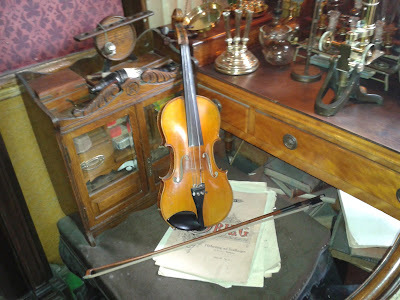 It is a very small museum and only a very limited number of people can be admitted at one time. The queue was stretching down Baker Street by the time we left the museum just before lunchtime. By the way, wasn't the "policeman" on the door a very "arresting" sight???? Next it was off to the Tube station to head for this afternoon's main event. 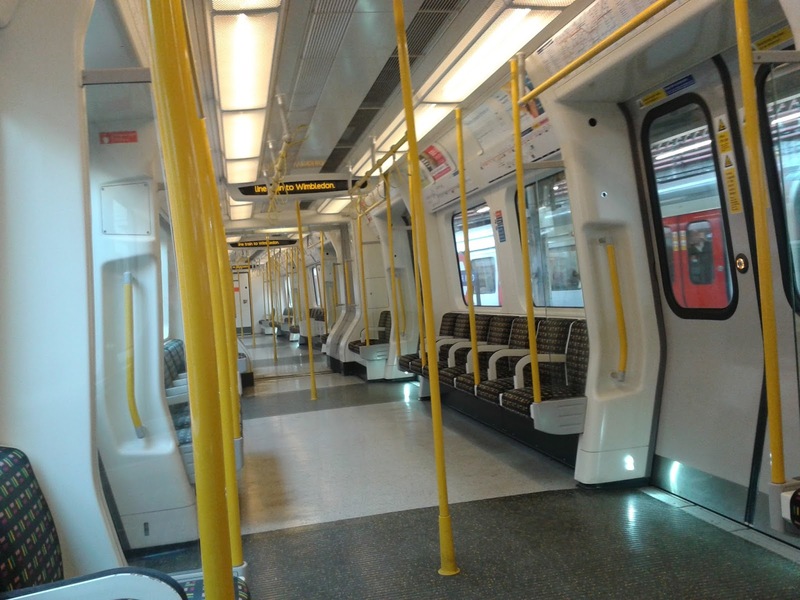 Here is the very rare sight of an empty Tube carriage. It wouldn't be empty for long as it would quickly fill up. The train was Wimbledon-bound, but our destination today was Putney Bridge station. 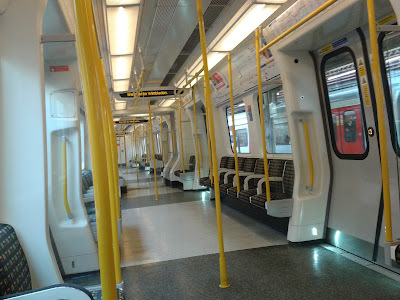 The journey from Edgware Road to Putney Bridge took just under 15 minutes. 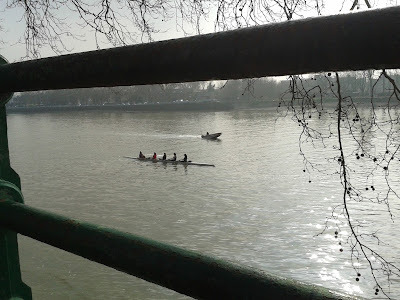 Why Putney Bridge? Well, you will remember that I mentioned that we were going to a football match. 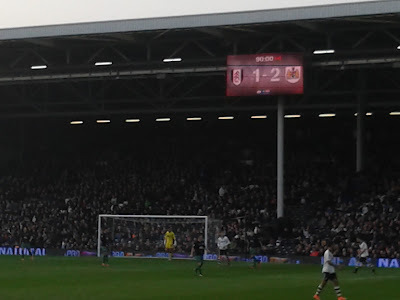 As it was impossible to get Premiership tickets, we then looked at the Championship and after some research we chose the match between Fulham FC and Bristol City. 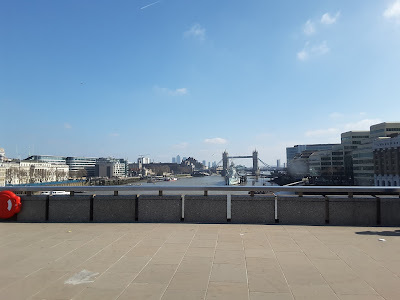 After a pub lunch in Fulham High Street we made our way to Fulham's ground, Craven Cottage which is situated in a very upmarket and civilised area, down by the Thames. I wonder if this rowing crew were in training for the Boat Race or the Olympics? We were seated in the Johnny Haynes Stand, which is named after the club's most famous footballer. 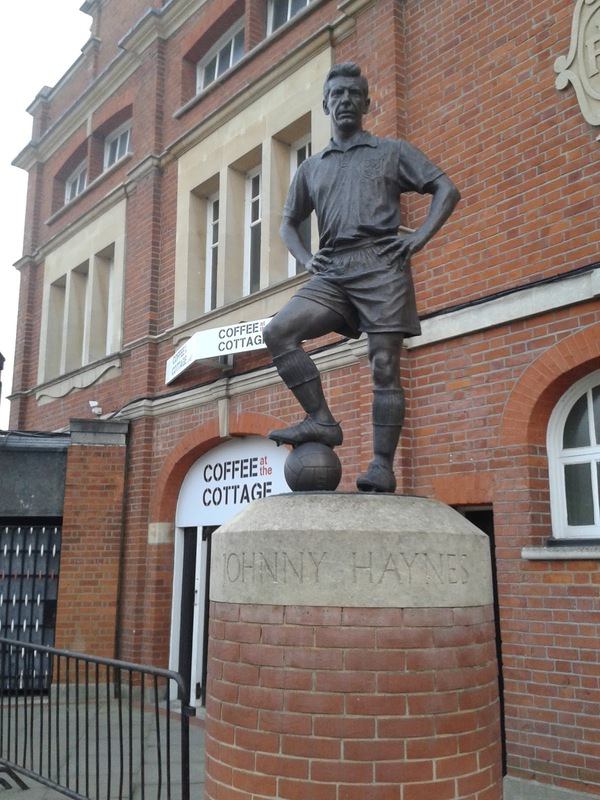 There is also a statue of him outside the ground. It was looking very good to start with. Fulham scored just a couple of minutes into the match and dominated the first half. Unfortunately as the old cliche goes it really was a game of two halves and Fulham completely lost their way in the second half. Bristol City equalised and then scored in the last minute of the match. Yet despite our newly adopted London team losing their match, we both really enjoyed the experience and would definitely do it again if/when we return to London. Besides there was the small matter of our Saturday night dinner date. We didn't go too far away and visited a small local Indian restaurant which provided some tasty food and a very relaxed atmosphere. 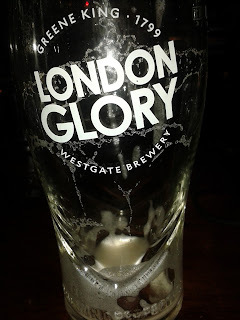 After dinner, it was pub crawl time again. Well, if you could call two pubs a "crawl". Firstly to a surprisingly empty Metropolitan Bar (Wetherspoons) where I checked the Melfest result on my tablet. 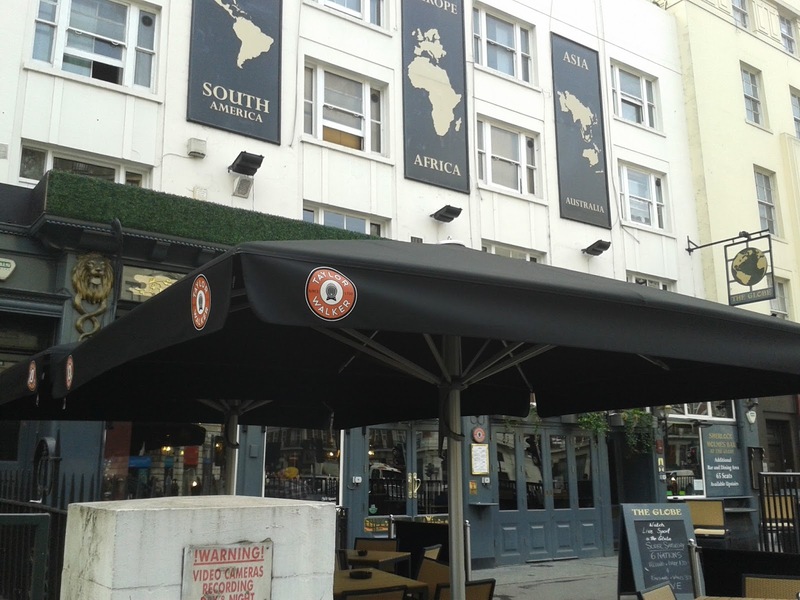 We later ended up back in The Globe on Marylebone Road (above) which had good music - bonus points to them for playing New Order's Tutti Frutti by the way! - and a good atmosphere, and the perfect way to end our Saturday night. Over the past 20 years I've visited a number of different cities and resorts in countries all over Europe - and even been to Canada - but believe it or not, I've never been to the capital city of the UK until March 2016. 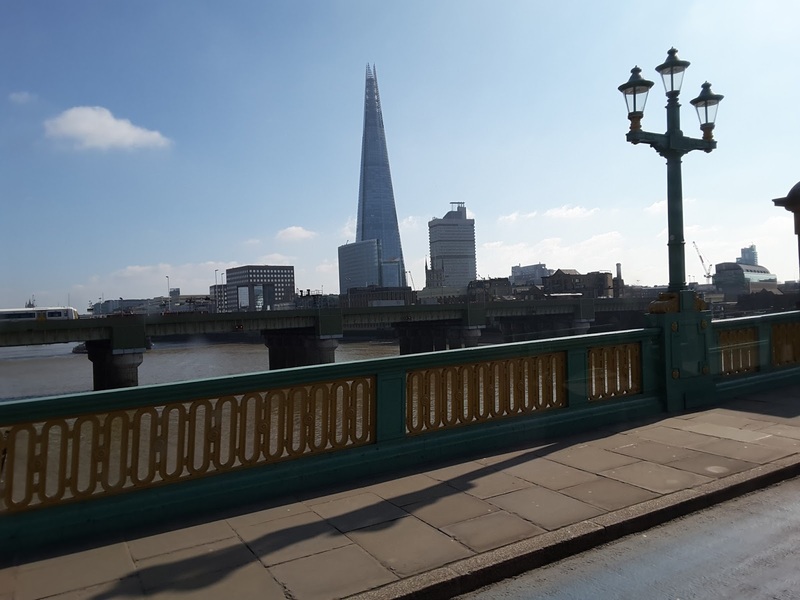 For some reason, London never really interested me before, and I always thought I'd be overwhelmed by the size of the huge city. So the years passed, other places interested me more, and London passed me by. Our trip arose out of a grand plan by faithful travelling companion to go to a particular football match; I won't go into all the details but our original plan later fell apart. However by that time the seeds of a city break in London had been sown and we couldn't imagine not going, so we came up with a plan B! As usual, I'm an obsessive pre-holiday researcher so this involved weeks of research for me, as London was a mystery to start with. Despite some well-known landmarks I couldn't have told you anything about the different neighbourhoods and where they were located in the city so the first few weeks of 2016 were a learning process, and I was much more familiar with the city's layout after doing my "homework". 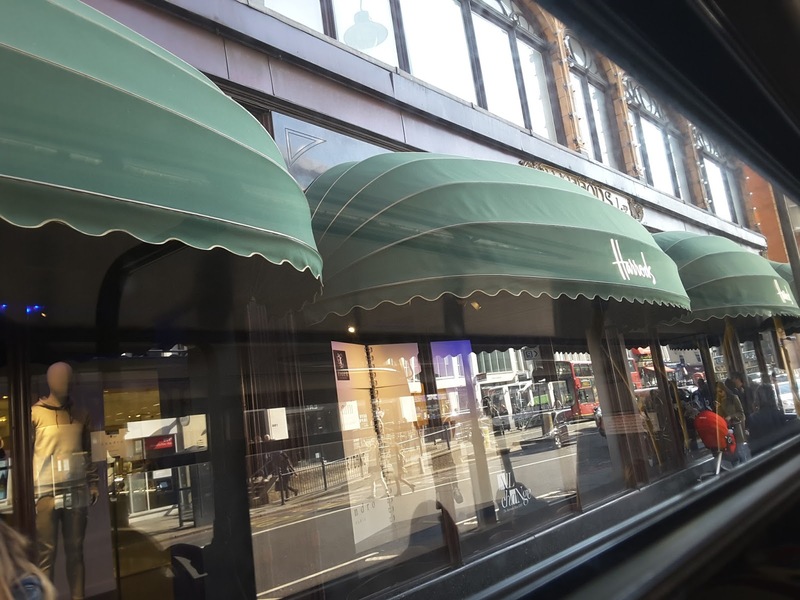 We eventually settled on the Marylebone area as our base; it's a well-located area, (and a well-heeled one too: flats costing over £1 million here!) 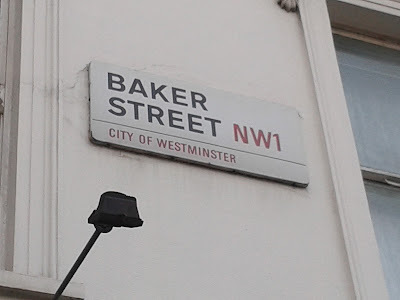 with Baker Street Underground (Tube) station nearby. This station has a number of intersecting Tube lines so it's easy to reach a number of different parts of London from this station. The train arrived into Liverpool Street Station, then a quick transfer to the Liverpool Street Tube station and our first time using our Oyster cards. 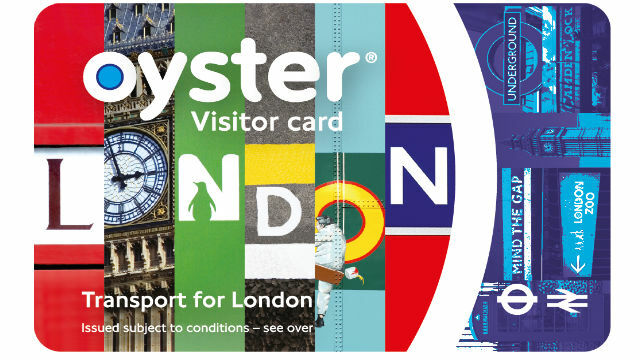 We purchased our visitor Oyster cards prior to the holiday, topped up with enough credit for the weekend. They are smart cards which you 'touch in' and 'touch out' before and after your Tube journey, similar to the way the Scotrail ticket gates operate in stations in Glasgow and Edinburgh. So our first experience of the Tube wasn't too scary! After arriving at our hotel we decided to familiarise ourselves with the local area and then get a mid-afternoon pizza at Pizza Hut in Baker Street. We will be back in Baker Street tomorrow for a planned event but we decided to check out the street in advance. There are some very interesting shops here - for example, the Beatles Store - yeah, yeah, yeah! After our stroll around the local vicinity it was time to get back to the hotel and get ready for our evening meal which we had pre-booked online. After our dinner it was time to hit the bars in the vicinity of James Street. Faithful travelling companion of course had to get into the spirit and try a London beer. Yes it's finally time to announce another new holiday destination for faithful travelling companion and myself to add to our very long list - it's none other than the Spanish capital, Madrid. We'll be heading there in a few weeks and of course will indulge in some tapas, flamenco and the great Spanish tradition of turning night into day (energy permitting, although sadly we don't have too much of that these days - but will do the best we can!). And of course you can look forward to the appearance of the Madrid Diaries on here in the next few weeks - but that's not the only holiday diary on the way as I also have another recent trip report to post, hopefully over the next week or so.